In this crazy world sometimes I need to take a few minutes and reflect on what is really important. One of my favorite ways to do that is to look through my quote collection. Beginning in high school I started collecting quotes. Back then I would rewrite them in a journal and those journals became some of my most treasured possessions. Fast forward to 2014 and now there are so many ways to keep and view those favorite quotes. Now I have a Pinterest board and images saved on my computer and printed out to keep me inspired. Each Wednesday we will be sharing some of our favorite quotes to add a little inspiration to your day. 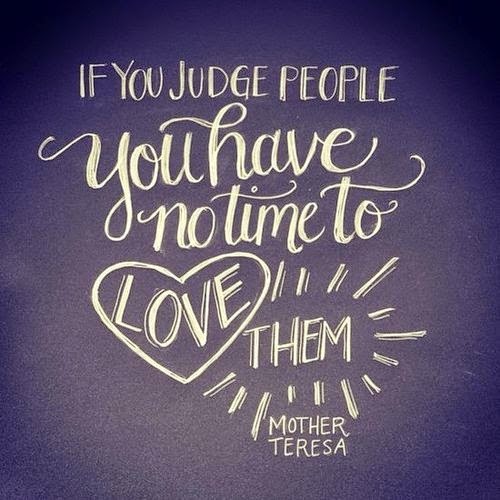 This is one of my all time favorites from Mother Teresa. I found it at http://quotespaper.com/love-quotes/3582.